The stabilization treatment of 5E83 alloy is investigated by optical microscopy, transmission electron microscopy, and electron backscattered diffraction in this work. 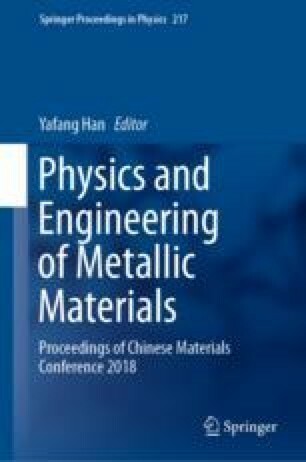 Through the mechanical properties and corrosion properties of the initial state of 5E83 aluminum alloy hot-rolling sheet and the annealed state of 240–260 °C/1–24 h, combined with the microstructure analysis of the corresponding state to optimize the stabilization process of 5E83 alloy hot-rolled sheet and explore the changes in its performance and microstructure with the annealing system. The results show that the weight loss curve of 5E83 alloy hot-rolled sheet rapidly enters the sensitive area from the passivation zone at the annealing temperature of 240 °C. It enters the insensitive area from the passivation zone with the annealing time at the annealing temperature of 250 and 260 °C. According to the above experimental results, it is finally determined that the annealing at 260 °C for more than 20 h is a suitable stabilization process for the 5E83 alloy hot-rolled sheet, and the intergranular corrosion performance of the alloy is good in this state. The authors are pleased to acknowledge the financial support received from the following projects (in no particular order). The National Key Research and Development Program of China (2016YFB0300804 and 2016YFB0300801), and the National Natural Science Fund for Innovative Research Groups (Grant No. 51621003). The Construction Project for National Engineering Laboratory for Industrial Big-data Application Technology (312000522303). National Natural Science Foundation of China (No. 51671005 and 51701006), Beijing Natural Science Foundation (2162006) and Program on Jiangsu Key Laboratory for Clad Materials (BM2014006).